The Baby Whisperer Solves All Your Problems (TBW) ~ My Baby Sleep Guide | Your sleep problems, solved! feeding, sleeping, behavior and even child proofing your house. It focuses on respecting your baby which I love. It also goes over the different types of babies (e.g. angel, textbook etc) and ways to help relate with them. Many people that like Babywise also like this book and find their philosophies to be similar. The Baby Whisperer does not encourage leaving your baby to cry alone which Babywise says is ok at times. Instead Hogg focuses on the "Four S" routine, shush-pat and pick up/put down. She insists that these methods will work if given the chance. 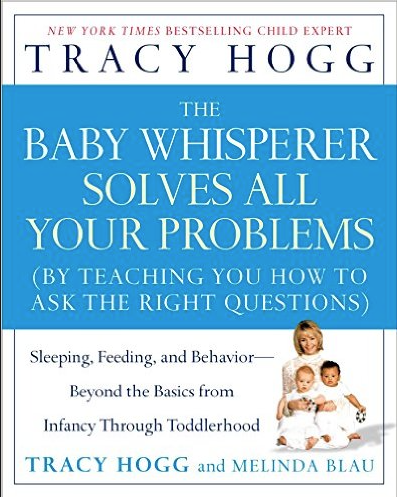 The Baby Whisperer also has two other books which have a little bit different information than The Baby Whisperer Solves All Your Problems but also some similar information. If you are only able to get one book I would recommend getting TBW Solves. If you can buy another one, you can't go wrong with either of the ones listed below. 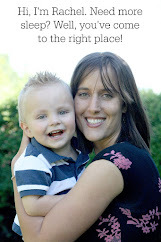 Advice from The Baby Whisperer and But Why Doesn't It Work? **What is a dream feed and how do I give it?